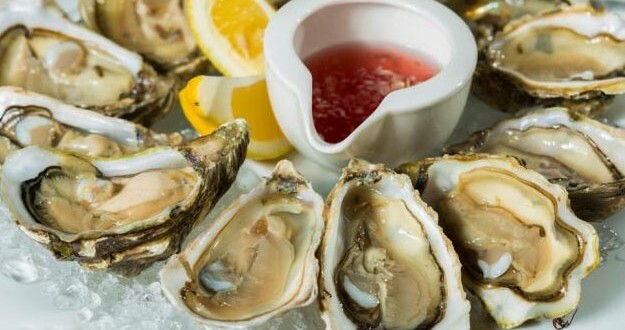 Eating raw oysters and shellfish may increase the risk of getting infected by human norovirus that causes stomach pain, diarrhoea, nausea and vomiting, a study says. Oysters not only transmit human norovirus but also serve as a major reservoir for these pathogens, the findings show. “More than 80 percent of human norovirus genotypes were detected in oyster samples or oyster-related outbreaks,” said author Yongjie Wang, professor at the Shanghai Ocean University in Shanghai. “The results highlight oysters’ important role in the persistence of norovirus in the environment, and its transmission to humans. They demonstrate the need for surveillance of human norovirus in oyster samples,” Wang said. In earlier research, the examiners found that 90 percent of human norovirus sequences in China came from coastal regions. The current research said the same is true all over the world, except in tropical regions. Oysters’ status as vectors for human norovirus transmission is likely abetted by their presence in coastal waters, which are frequently contaminated by human waste, Wang said. Previous research says noroviruses can persist for weeks in oyster tissues, and commercial depuration fails to expunge them.